I cannot even begin to imagine how it must feel to struggle to conceive. I know that having your first baby at 17 years old isn’t ideal. Giving birth in the summer holidays between the first and second year of your A-levels probably wouldn’t be everyone’s first choice. I do feel very lucky though, lucky to have never had to experience the stress of trying for a baby that just won’t come. Never to have had that gut wrenching disappointment when my period arrives, or felt the guilty sadness of hearing yet another friend announce their pregnancy. I’m not going to even pretend that I could understand how difficult it must be, but I just wanted to let you know today about a new product that might possibly help. It’s a natural supplement called Bud. Bud stands for Babies Under Development and has been inspired by founders Tim and Sarita Heard’s personal experience of unexplained secondary infertility. Second baby infertility is all too common, and no less distressing. It must be quite a shock to find that despite having no problems first time round, baby number two doesn’t seem quite so keen to fit in with your family plan. Their experiences gave them an insight in to the reality of the fertility problems that many couples come up against. All kinds of things, including changes in diet, lifestyle, stress and the tendency to start a family later in life, can weaken natural fertility and make it difficult for couples to conceive. Tim and Sarita wanted to create something to support all couples trying for a baby, regardless of whether or not you already have children and of how long you’ve been trying. So what exactly IS Bud? 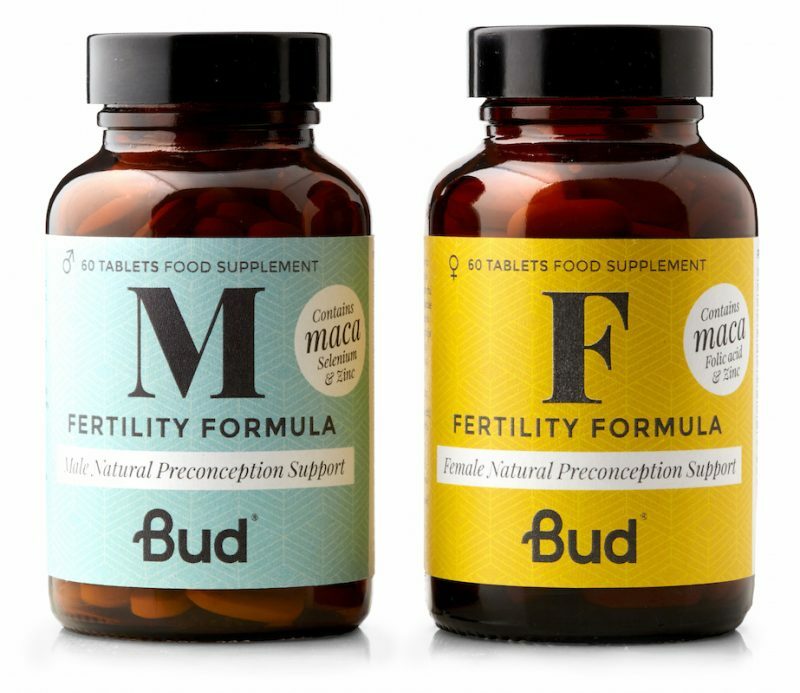 Bud is a natural fertility-boosting supplement which comes in a formula for men and for women. It’s an all natural, carefully researched blend of minerals and essentials vitamins, all of which have be shown to support key aspects of reproductive health. It also contains powerful adaptogens which help to balance hormones and reduce stress. There’s a lot more detail about the ingredients in Bud on their website here. Bud has a bit of a hero ingredient too though – Maca. Maca has been making a bit of a name for itself over the last couple of years as an all round superfood, but it has properties that relate very specifically to fertility. It has been grown for over 2000 years high in the Peruvian Andes and has a long tradition of an effective aphrodisiac and fertility enhancer. Quite frankly, whether you’re trying for a baby or not, you want to get a bit of Maca in your diet. It’s the bomb. The people at Bud don’t say this, but there is a part of me too that thinks that anything you’re doing that feels like a POSITIVE thing has got to be helpful hasn’t it? We all know someone who tried for a baby for years and then miraculously fell pregnant the week before they were due to start IVF – it’s often because the pressure is off and you’ve relaxed a bit. If you’re taking a supplement then, that you know is going to help fight stress and balance your hormones, that has to be a good thing surely? The male and female formulas each contain a different blend of natural ingredients, targeted at different aspects of reproductive health. The female supplement for example contains folic acid and vitamin D, while the male version bigs up the selenium to give those sperm a boost. Now obviously I can’t say ‘I took Bud and I had a baby!’ because for one I don’t want another baby and for two I don’t have a boyfriend, so it would be a miracle if I suddenly got pregnant. 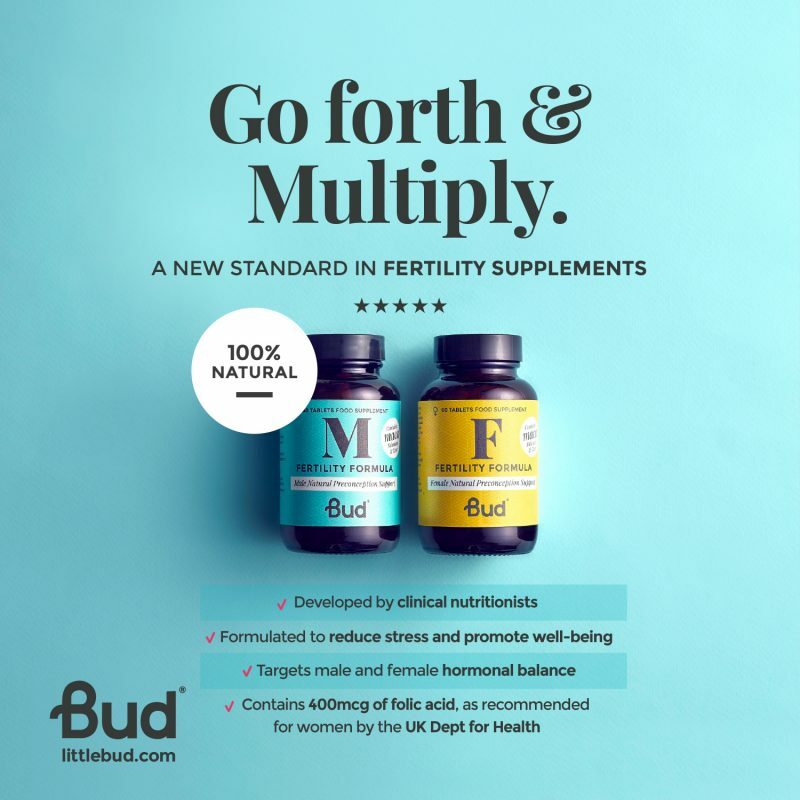 I do feel though that if you are trying for a baby and there is a way to potentially boost your natural fertility then it has to be worth a try doesn’t it? You can find out more about Bud and shop online here. There’s 30% off with the code SSM30 and free delivery on orders over £30. Previous Post Do you care less as you get older? Like you I didn’t struggle to fall pregnant but I have plenty of friends who struggled for years (some in excess of 10 years who only fell pregnant when they gave up trying) and others who had cycles of clomid or tried IVF. It must be heartbreaking to want something so bad and for it not to happen. I think when you get to that stage you are willing to try anything. Hopefully Bud will be the answer for many. Also very fortunate to have not struggled, but have a few friends who have and my heart just goes out to them. I suppose even if this supplement helps one more family become complete then it’s a win. I can’t imagine what some people go through (I have 7) but so many friends have struggled to conceive. I guess anything is worth a try!